They were nervy from the off in Saturday’s decisive clash, where they knew that only a win against former coach Herve Renard – the man who masterminded their AFCON success in 2015 – would be enough to pip the Atlas Lions into top spot. In the 25th minute, the stopper was beaten by Dirar’s tame left-footed cross from the right flank, as the ball failed to meet the diving Khalid Boutaib, but still evaded Gbohouo before nestling in the far corner. Five minutes later, perhaps still shaken by his error for the first goal, he hesitated after deciding to come for a corner, and was left in no man’s land when Benatia prodded home into the roof of the net. The individual efforts of Gervinho, Wilfried Zaha and Serge Aurier failed to find a way past Morocco’s defence – marshalled by the excellent Benatia – during the second half, while Wilmots introduced Maxwel Cornet and Ghislain Konan to scant effect. Aurier had the best chance to hand the Elephants an undeserved lifeline just after the hour mark, but he could only blaze over from inside the area after being picked out by Zaha’s cutback. 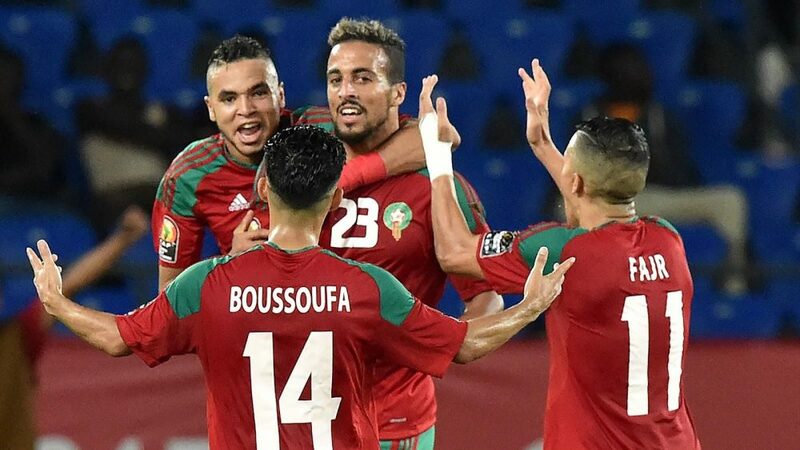 While the Elephants will be left to rue a first World Cup qualifying failure since 2002, Morocco can now look forward to heading to Russia as North Africa’s third representatives alongside Tunisia and Egypt.